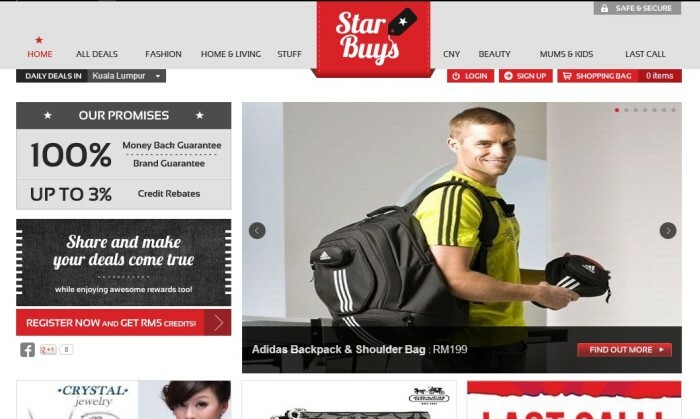 Star Publications has expanded its offering by launching its official group-purchasing website called Starbuys on 8 November. StarBuys offers a variety of deals on products from fashion and households items to gadgets. “StarBuys is a value-added service to visitors of The Star Online, in line with our continuous efforts to improve on our services and offerings,” Wong Siah Peng, chief operating officer, digital business of The Star Publications, tells A+M. By engaging with customers, Starbuys expects to instinctively identify customer’s buying preference and delivering their needs and wants. Currently, Starbuys is available online only but it is also looking for growth in other areas such as mobile applications. Starbuys, which will be a permanent section of The Star, is powered by DealMates. DealMates provides the software platform and manages the end-to-end operations of the initiative. Social Media: Worth The Risk? Besides restricting foreign electoral ads and inauthentic information, Facebook is also setting up an operations centre focused on..